Call us on 0800 9788 273. Buy with confidence using PayPal! 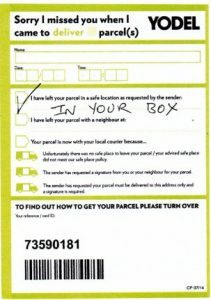 Who looks after your parcels when you are not in? 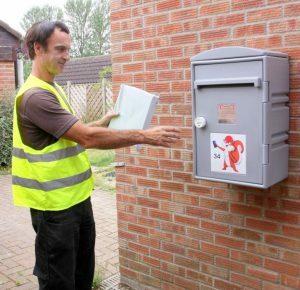 Install one of SamÔÇÖs boxes and get your mail and parcels delivered even when you are out. 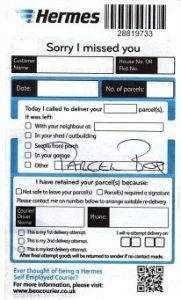 I get these cards in my letter box ÔÇô but sometimes the couriers forget. NOTE. I always leave my box at a certain number ÔÇô not the one to open the box. 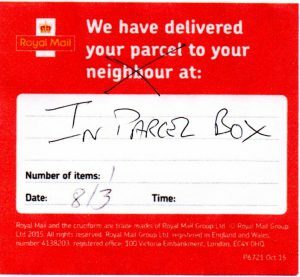 If the number is changed I know there is a parcel inside.